From fried avocado tacos to avocado cornbread, it's time to up your avo game with these killer recipes. Ok, we get it. Avocado toast is having its 15 minutes. But this buttery, delicate, green-colored fruit deserves more than a life-span of smushed and squashed endings, right? Here are ten improved ways to enjoy avocados that don’t sacrifice taste, flavor, or originality. Avocado y Huevos Calientes. 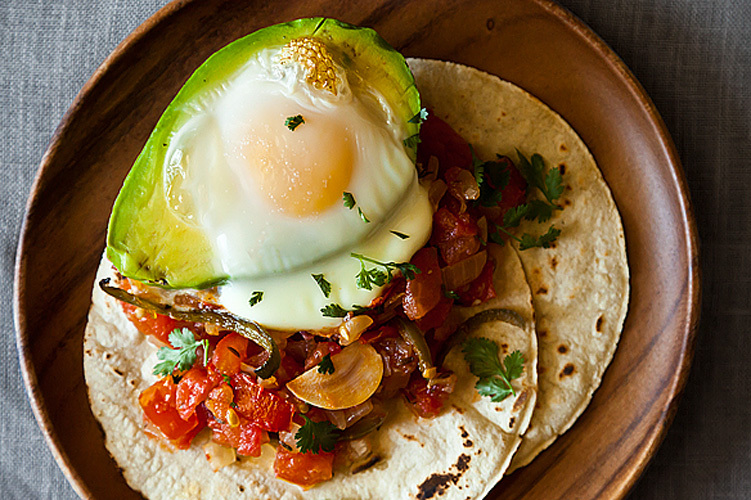 This innovative take on Huevos Rancheros incorporates savory tomatoes, jalapeños, avocado, salt, and the quintessential sunny-side-up egg. Get the recipe. 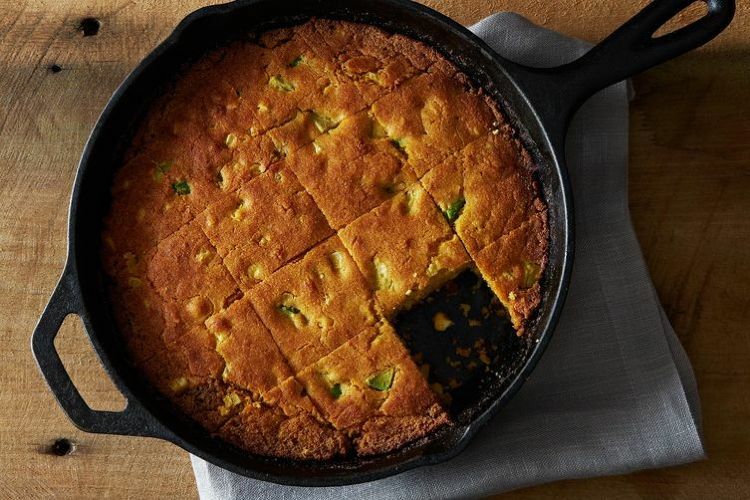 Avocado Cornbread. Gritty cornmeal, hot cumin, and smooth avocado blend together to create a batter that is above and beyond Grandma’s “Jiffy” boxed bread. Get the recipe. Dark Chocolate Avocado Truffles. Chocolate, meet your underrated (yet insanely on-point) partner, avocado. 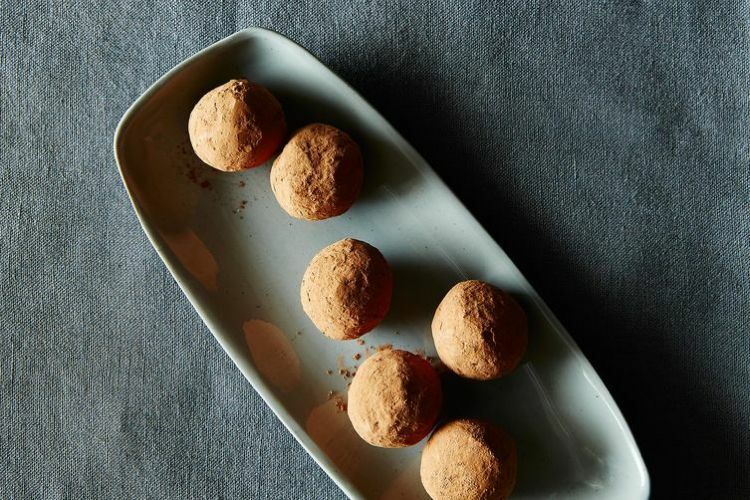 Warning, these three-ingredient truffles are seriously addicting. Get the recipe. Avocado Sea Salt Shake. 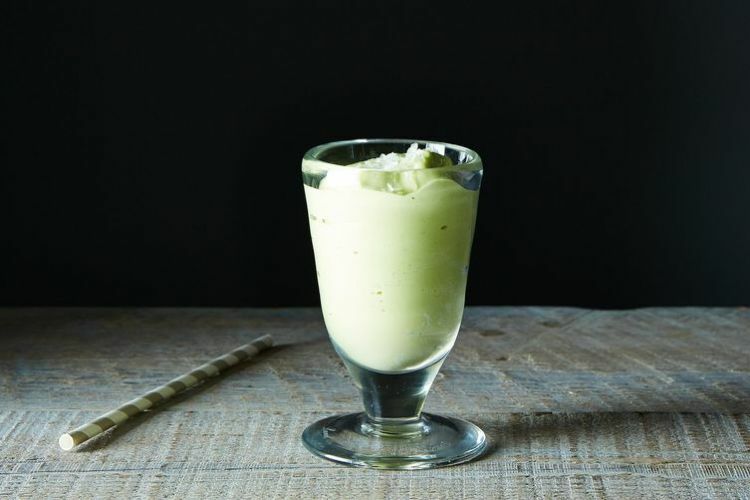 This avocado shake is basically green juice for anyone with a sweet tooth. Whole-milk ice cream, simple agave syrup, and hints of salt and lime create a creamy texture and an even dreamier taste. Get the recipe. 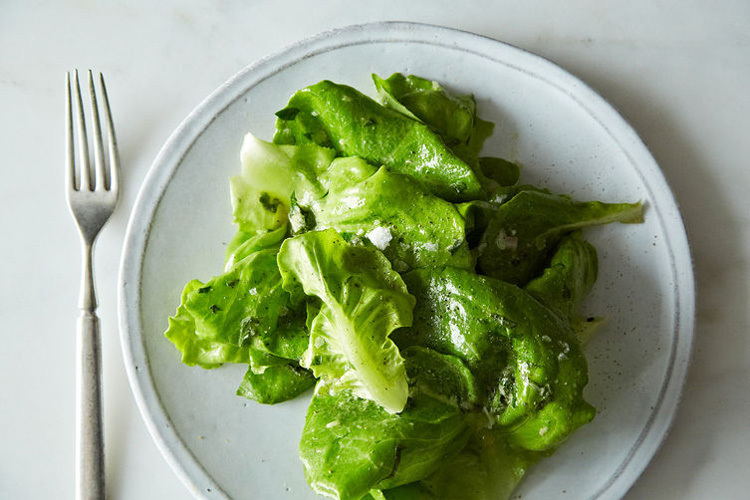 Green Goddess Dressing. Fresh herbs, glistening anchovies, fresh lemon and lime juice, and chunks of buttery avocado elevate this dressing to simplistic stardom. The Green Goddess just may be your new go-to. Get the recipe. 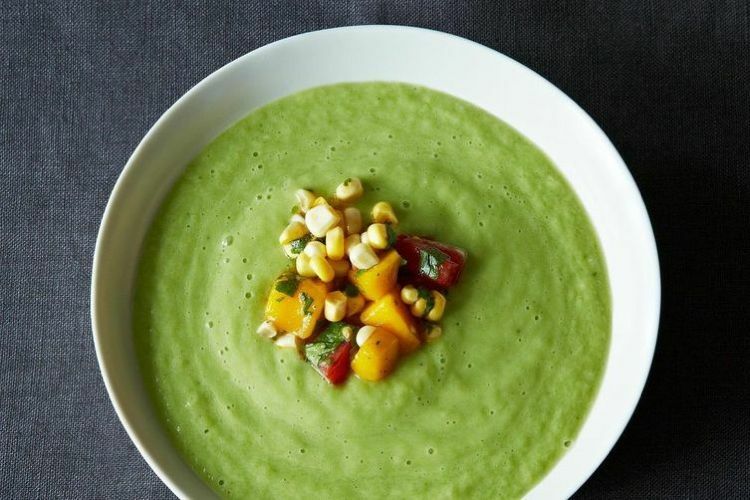 Chilled Cucumber and Avocado Soup with Mango Salsa. Warm weather still abounds, making this chilled cucumber and avocado soup just the ticket we needed. Hass avocado blended with freshly-shucked corn kernels and sweet mango is outrageously refreshing. Get the recipe. Fried Avocado Tacos. Just when you thought avocados could not get any richer, how about a dip in hot oil to send them over the edge? 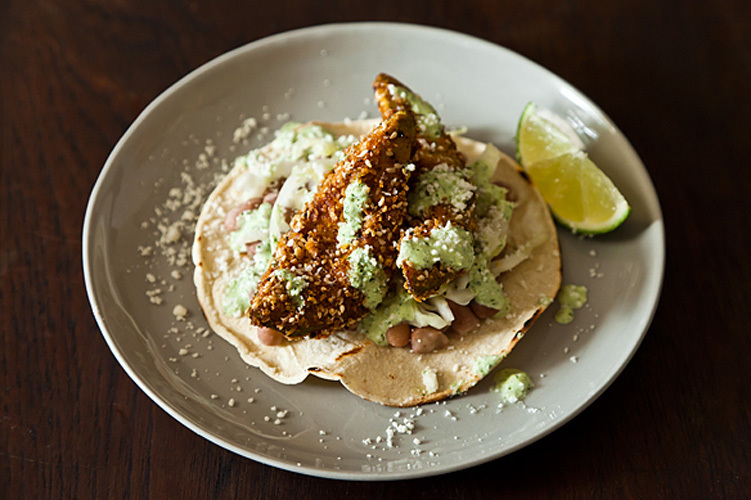 These tacos shine when accompanied by spicy serrano pepper, warm sesame oil, and fragrant cilantro. And if that is not enough, how about a side serving of pork-simmered pinto beans? Get the recipe. Guacamole Quinoa. 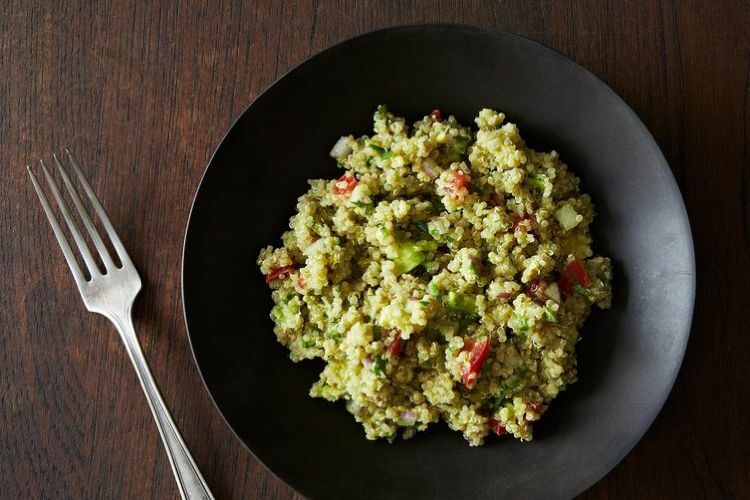 A quinoa recipe with three short sentence instructions can be your next quick meal on the fly. Ripe avocados are mashed into this absorbent grain and the result is a satisfying dish you’ll want to make over and over again. Get the recipe. Vegan Sushi. Sushi this simple can be made at home. 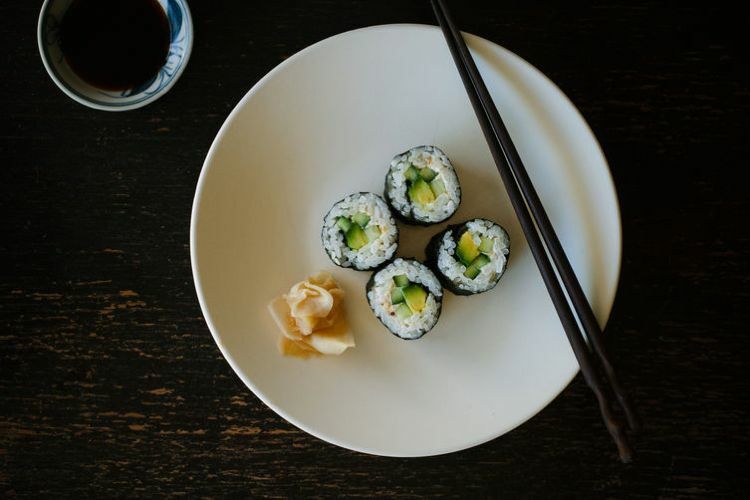 Packed rice, nori, chunks of avocado, and cucumber make for a crisp and refreshing roll. Get the recipe. Avocado Chocolate Mousse. Shh! 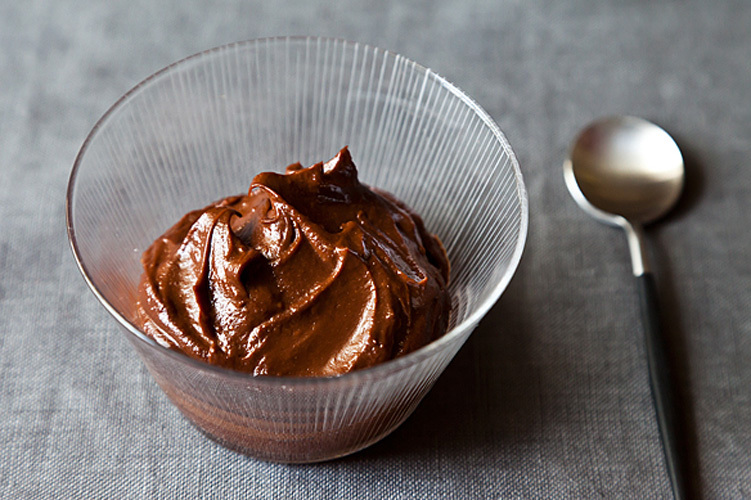 Chocoholics will never know there is an avocado in this mousse. The buttery fruit sneakily blends into rich coconut milk, bittersweet chocolate, and agave syrup. Serve it up in big bowls with a dollop of cream. Get the recipe.